This year, high school scholars will not be required to present at the January ReCon. As a member of the Research in Action committee, manager Danielle Plomaritas said the last time the committee met they discussed that while the school will still hold ReCon on Thursday, January 19, scholars are not required to present. Some scholars have expressed their relief of this news. “I’m so glad because it’s just a waste of time if you’re going to turn in something really crappy and not learn from it,” said junior Angelina Sanchez. 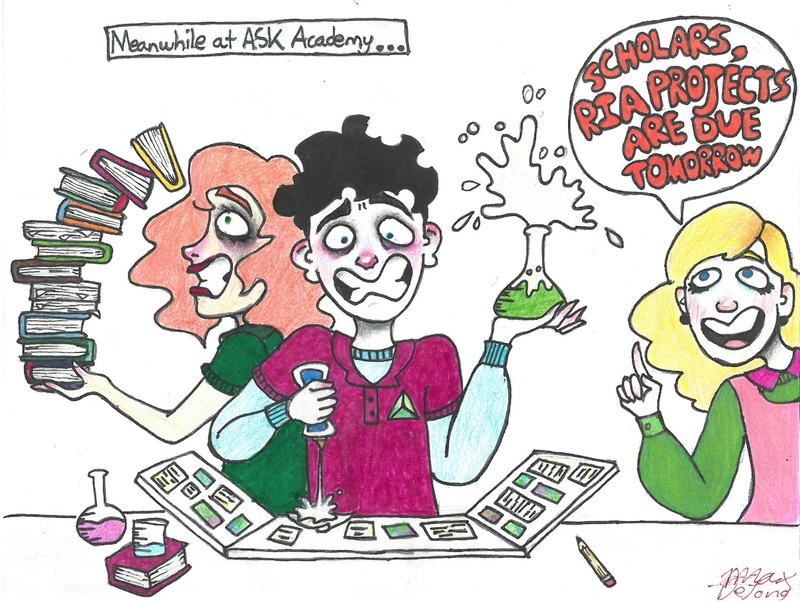 As the semester is coming to an end, scholars are scrambling to finish their RIA projects, and some are confused as to what the finished product should look like. Some managers are having their scholars create Powerpoints, while others must have a complete project during their presentation in Career Pathways. Some managers are having scholars produce a physical product, while some scholars are required to write papers to accompany their projects. “Every single semester RIA and ReCon have changed a little bit,” said Plomaritas. “We were really at a breaking point, where we decided we need to either turn it (ReCon) into an event that has a director in charge of it who has time to dedicate to make it into a legitimate science fair, or we need to scale it back and figure out how to make it manageable for the staff and the amount of scholars we have,” she said. Scholars who wish to advance to state or regional competitions will be required to present at ReCon, and everyone has the option to present if they wish. Otherwise, high school scholars will be finished with RIA at the end of this semester, and middle school scholars will present their projects at a separate conference at the end of the year. A new plan for Research in Action is currently in the works for the 2017-2018 school year.